Fort Wayne, Ind. 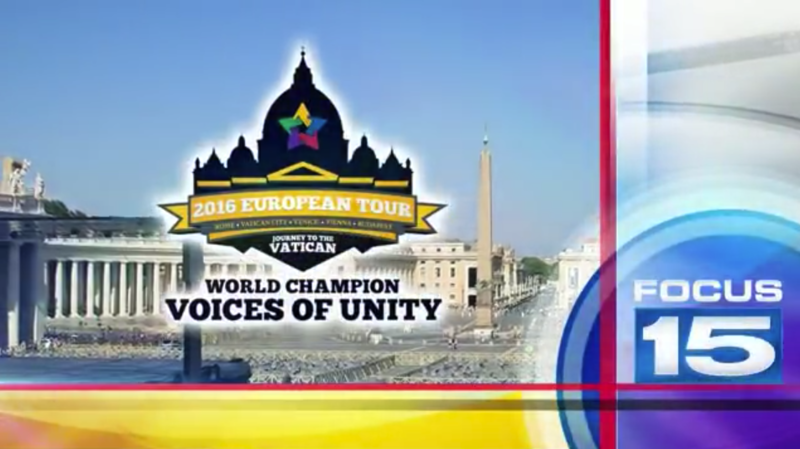 (WANE) – It’s been almost a month since Fort Wayne’s Voices of Unity choir traveled more than four thousand miles to perform at the Vatican. While in Europe they also competed in music festivals. NewsChannel 15’s Terra Brantley and photojournalist Jake Weaver were the only local news team to travel with the choir and bring back exclusive stories. Now they take that one step further with a special overseas program entitled Focus 15: Journey to the Vatican. The program offers an in depth look at the European Tour and how the Unity Choir helps children develop life skills that lead to opportunities of a lifetime.